Blinds and curtains shouldn’t be considered as a boring necessity for a lounge just to keep in the warmth or shut out the light. With a little imagination, they have the potential to make a stunning impact on your room’s decorative scheme. 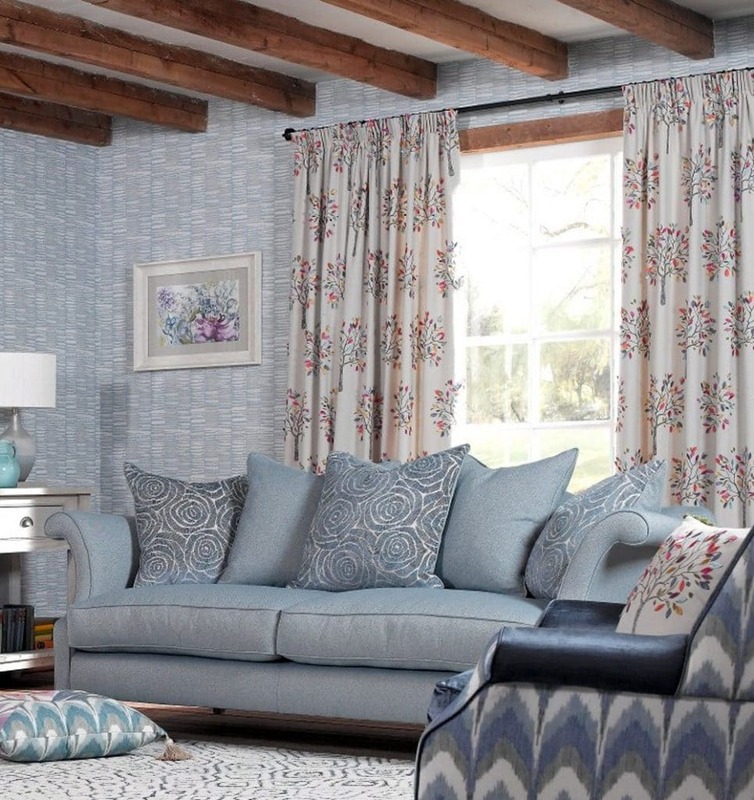 The experienced team at Norwich Sunblinds has been helping people do this for years and can offer you great advice and expertise on the numerous ways that made to measure blinds, curtains or shutters can create a real WOW factor in your Living Room. 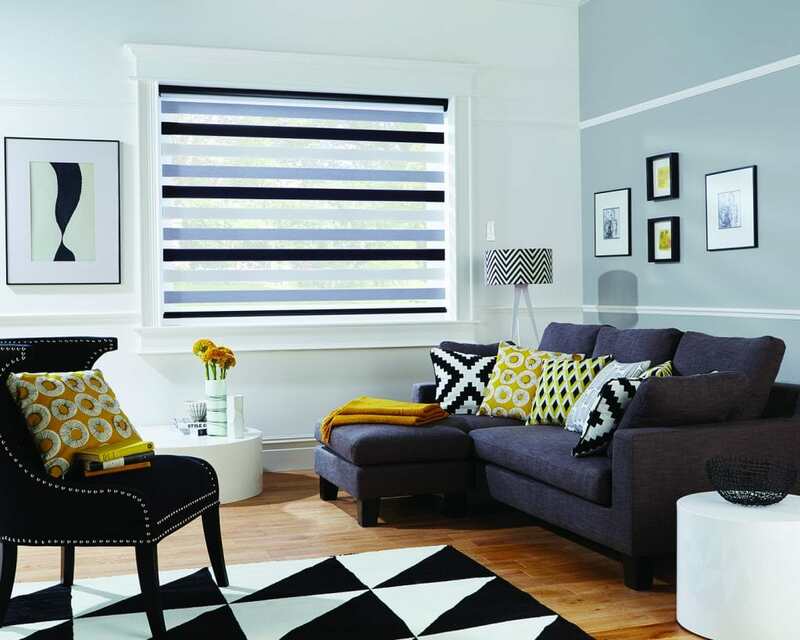 Blinds have come a long way since the days of the simple roller blind or the plain metal Venetian blind. Roller blinds and Venetian blinds are still very much part of what we offer, as are Roman blinds, Panel Blinds, Perfect Fit and Vision blinds, but you will be amazed at the breadth of variety available and the stunning effects that can be achieved with the variations in styles, materials and special finishes, as you can see here. 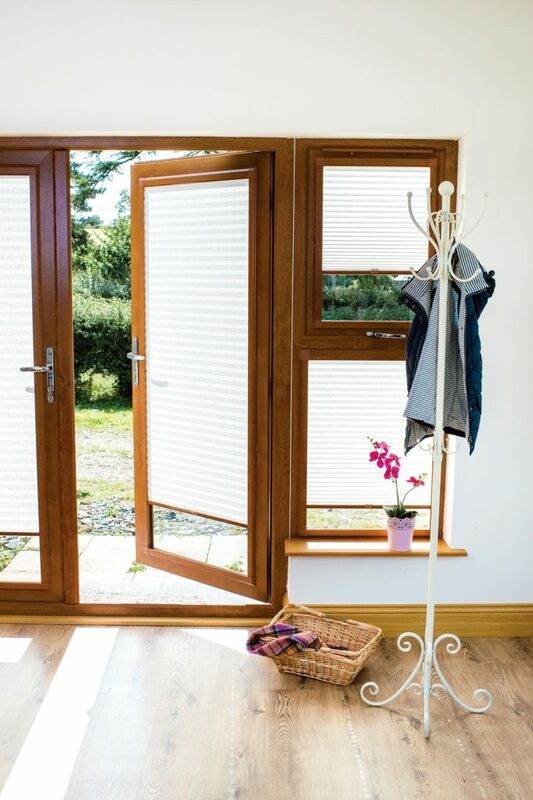 Louvolite, for example, offers a fabric treatment that can help alleviate hayfever by catching the pollen in the blind fabric before it gets into your home. 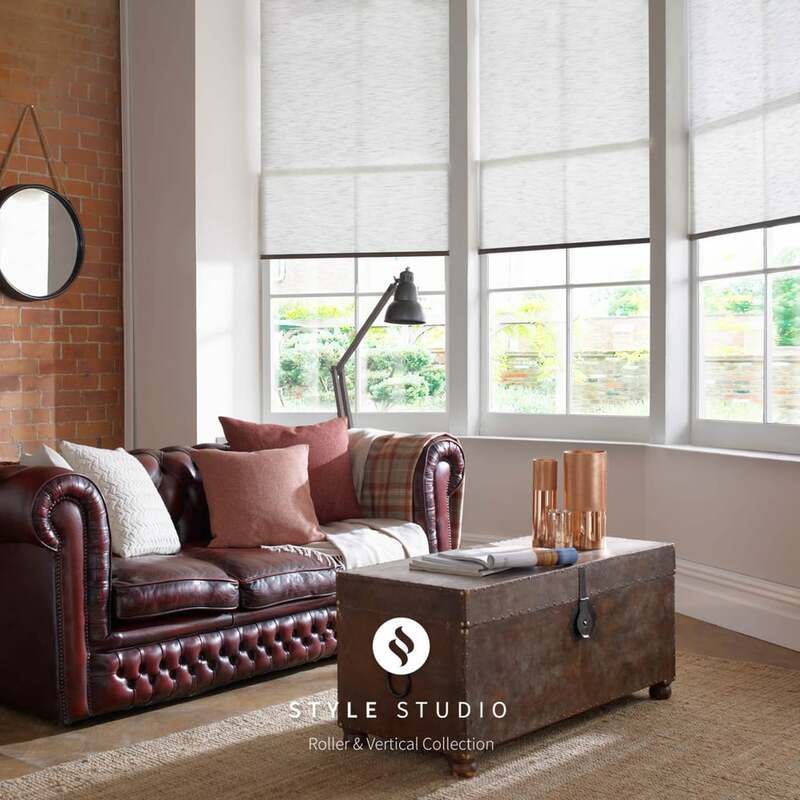 The choice offered for other styles of blind is also impressive and includes just about every style, shade, pattern and texture you can imagine, from the subtle to the ornate to traditional and contemporary, ensuring blinds are suitable for any house whether it’s ultra modern or an old period property. 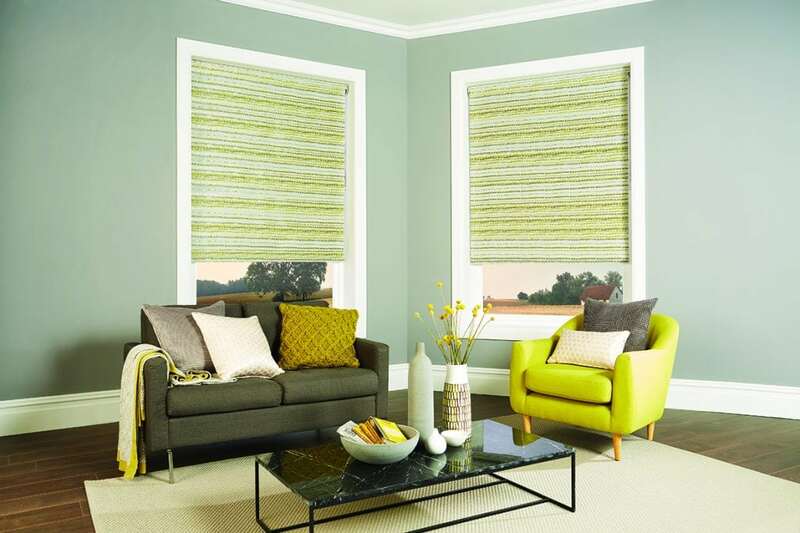 What style of blind best suits your living room? Having considered the fabric, you then have to decide on the style of blind. All our blinds can be made in materials that either complement your decorative scheme or add dramatic contrast and impact. If you’re not sure whether Romans or Rollers, Venetians or Verticals suit your room, come and have a look at the examples we have in the showroom and chat with our knowledgeable staff. 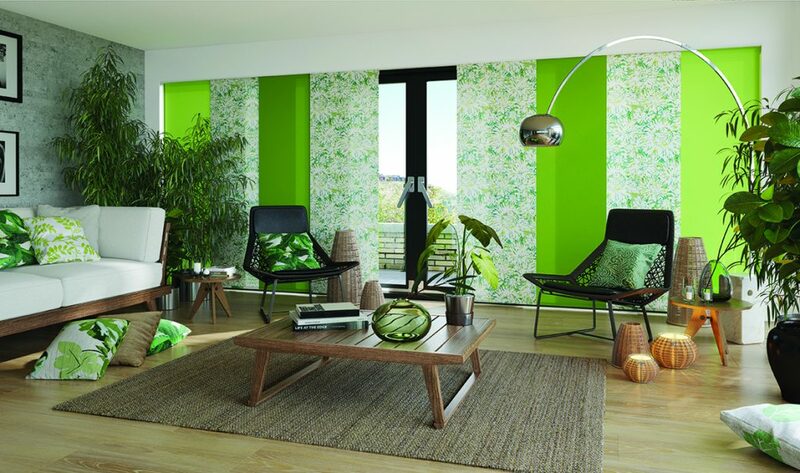 Panel blinds are a relatively new idea. They’re clever and stylish and often used for larger windows, patio doors and dividing rooms, cleverly stacking behind one and other when not in use. You can design them in materials and colours to suit your tastes and even contrast the different panels to add further design style to your living room. Perfect Fit blinds and Vision/ Visage blinds are revolutionary. Perfect fit blinds fit perfectly (as the name suggests) into a frame that moves with your door or window when you open or close them. Vision blinds alternate mesh and fabric panels (including metallic finishes, natural wood, woven effects and contemporary tones) allowing complete control of light and privacy. You can continue to enjoy your view through the mesh panel while the sheer fabric blocks out the light. Visage blinds achieve a similar result but are made with layers of fabric connected by a horizontal vane. Both give you more control and more options as to how much light is let into your room than you have with normal blinds. You can also motorise your blinds; this is not the ultimate in laziness as it brings real benefits. As well as being stylish, it makes them child safe (no cords), speedy: shuts up to 14 blinds in one go and gives you security – you programme them to close and make it look like you are at home, and it will show your children or grandchildren that you can do technology too! 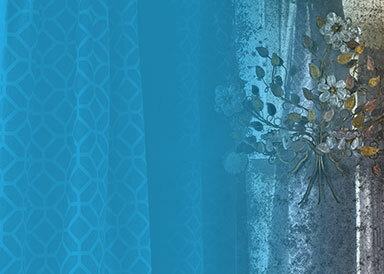 Make sure your curtains are part of your overall design plan when you embark on the decoration of your lounge. It is worth coming into the shop or arranging a home consultation, to have a look through the extensive fabric sample books. They will add inspiration to your design plans, or they may even be the inspiration for the design. 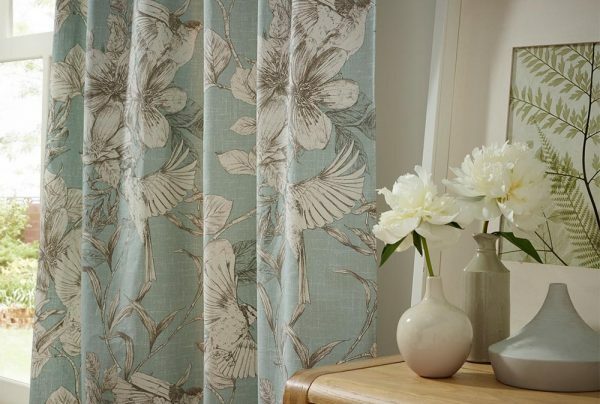 Norwich Sunblinds holds sample books of great interior design fabric suppliers such as iLiv, Prestigious, Clarke & Clarke, and Voyage, which are perfect for Roman blinds and curtains. 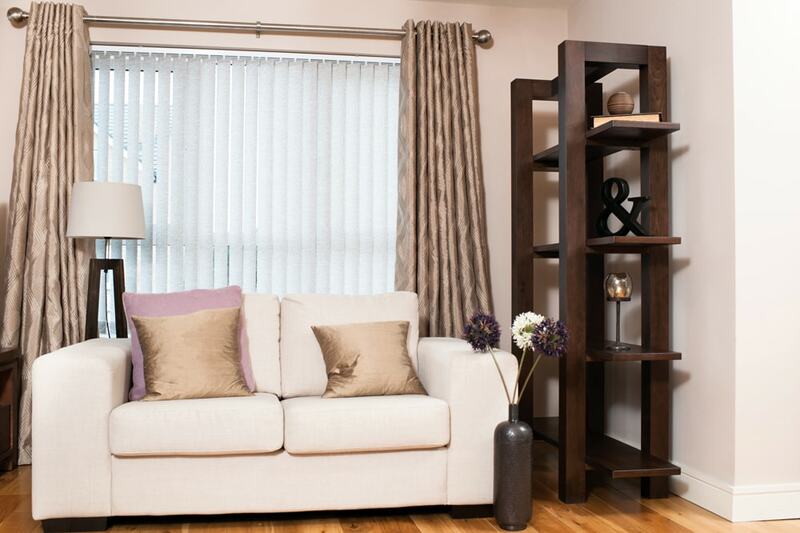 Curtain poles enhance the sophistication of the finished look of your room. We have a wide variety to choose from when ordering your made to measure curtains, from shabby chic distressed wood to polished silver and a delightful range of unusual finials for the finishing touches too. 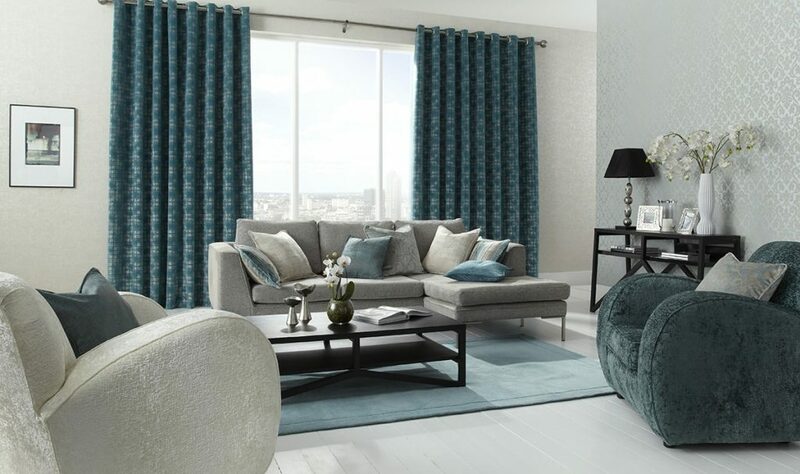 You may also wish to consider having two sets of curtains for your lounge, something rich, warm and sumptuous for the cold winter months to make you feel cosy, and something light and summery for Spring and Summer. Without changing any furniture, you can give your room a totally different feel, depending on the time of year. Another option is to combine both blinds and curtains at your windows, which again is an opportunity to be creative with your combinations to enhance the interior design. Or you might like the idea of having shutters and curtains. 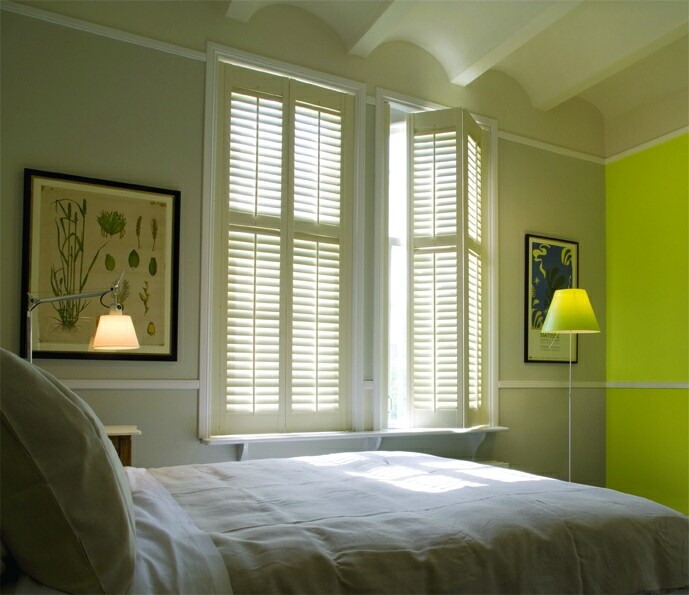 Shutters can bring a continental feel to a room and certainly add a focal point to a design scheme. They also reduce noise levels, are insulating and low maintenance. 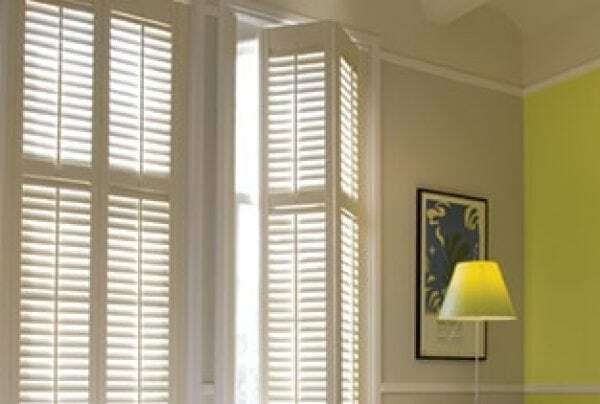 Shutters will look wonderful on their own or with curtains too, creating a very grand feel to your living room. 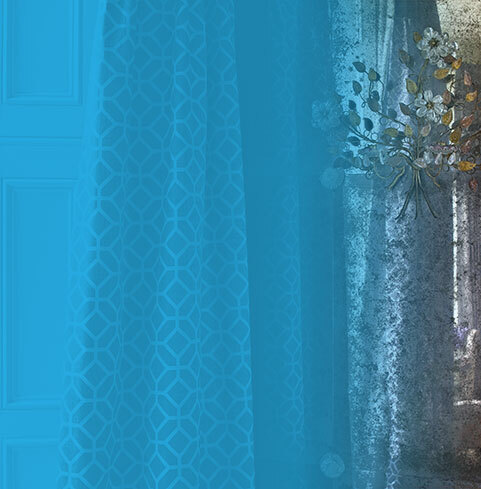 Let Norwich Sunblinds help you create stunning window dressings for your lounge. Norwich Sunblinds has been providing excellent customer service for over 30 years. 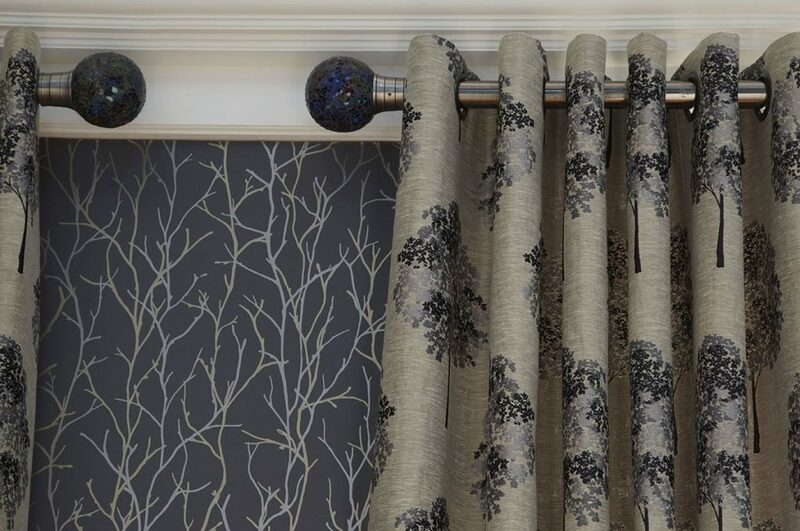 We make our blinds and curtains in-house and provide a free measuring service, an installation service and expert advice on colours, textures and styles.